The SL NITRO 510 is a cutting-edge new LED based strobe luminaire that provides intense bursts of light and dynamic effects. 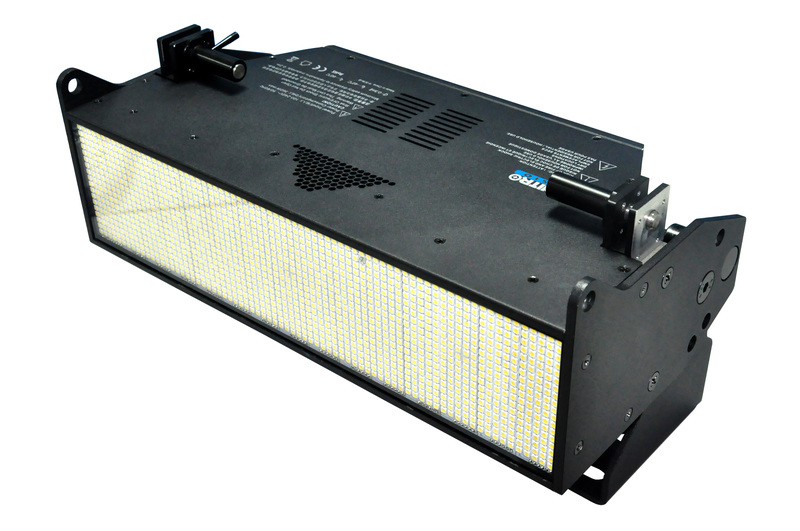 The tightly packed array of over 1300 high power LEDsensures maximum output and full-field, even distribution across 1200. The rugged construction, Showline standard LCD menu system, continuous-on operation and lower power consumption guarantee the SL NITRO 510 is the perfect strobe luminaire for any application. A unique quick-connect systems allows SL NITRO 510 units to connect together easily top-to-bottom and side-by-side. In addition, the form factor of the SL NITRO 510 matches the SL BAR 520 so the two luminaries can be interconnected providing unlimited design possibilities. Six unique zones of control allow ultimate flexibility while unique built in chases aid in creativity and simplicity. With over 68,000 lumens of output, the SL NITRO 510 rivals conventional strobes and retains dynamic looks whether washing a stage or pointing directly at an audience.